Los Volcanes Natural Park is a space of volcanic origin, with an area of around 10,158.4 hectares, which spreads over the municipalities of Tinajo, Tías and Yaiza. 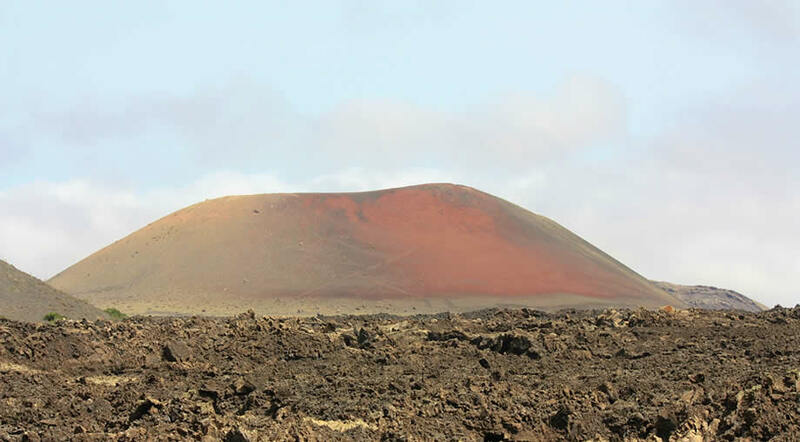 Parque Natural Los Volcanes is bordering on the west side with Timanfaya National Park, which actually surrounds it, on the south side with the area of scientific interest- Janubio, and on the east side with the La Geria, which is also an area of protected interest. Los Volcanes Natural Park, along with Timanfaya Natural Park is one of the best examples of the recent volcanic eruptions in Lanzarote. The landscape is known for its numerous volcanic cones and lapilli fields (commonly known in Lanzarote as "Rofe"). The space is a great place to visit if you are interested in bird watching, as the space is known for its lava formations and caves, where a large number of seabirds and terrestrial birds (gray shearwaters, peregrine falcons, etc.) take shelter, which is why it has been declared as a Bird Special Protection Area. Camino Vecinal (LZ-67) Yaiza-Tinajo, Camino Vecinal (LZ-56) de Tinguatón, Camino Vecinal (LZ-704) Yaiza-Casas del Golfo and Camino Vecinal (LZ-702) Casas de Las Hoyas (Janubio) to Casas del Golfo.